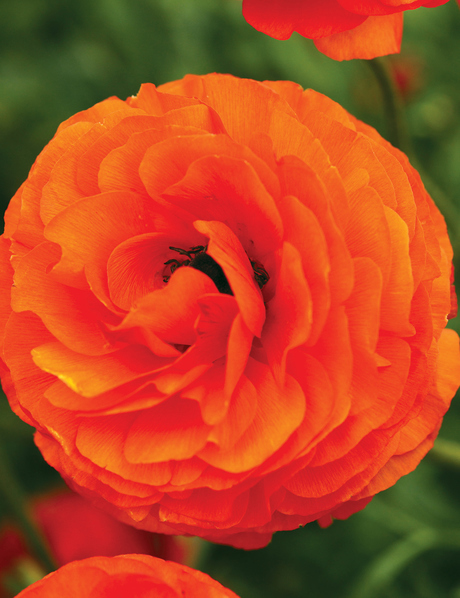 One of the most rewarding spring bulbs to grow, Ranunculus are renown for their bountiful display which is absolute value for money. 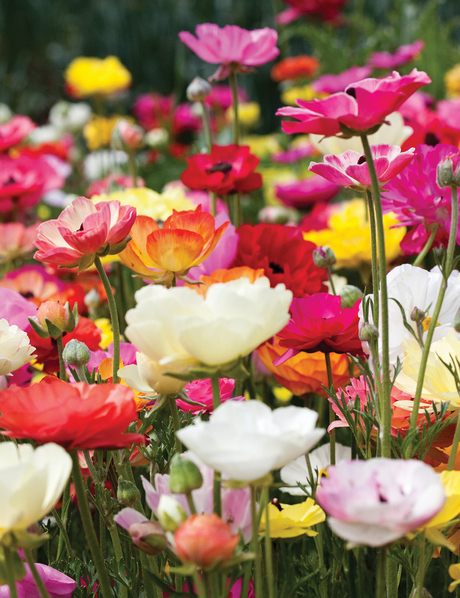 The flowers are full and romantic and oohhh so wonderful. 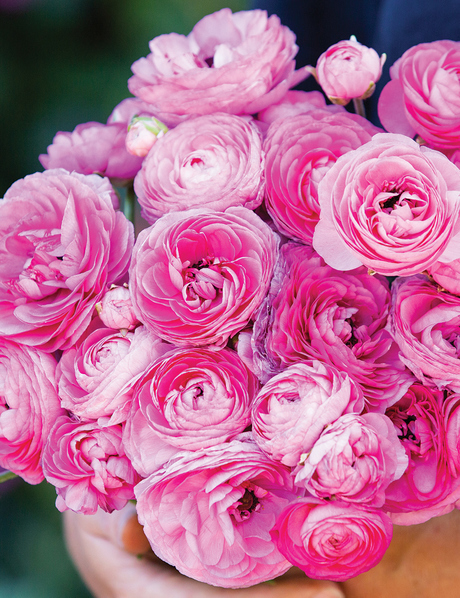 We just cannot sing their praises enough! 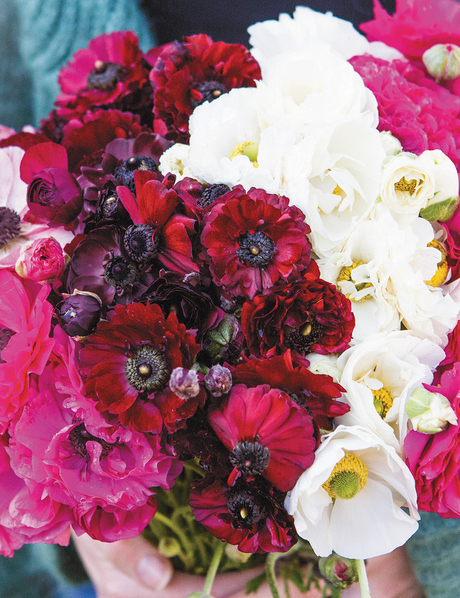 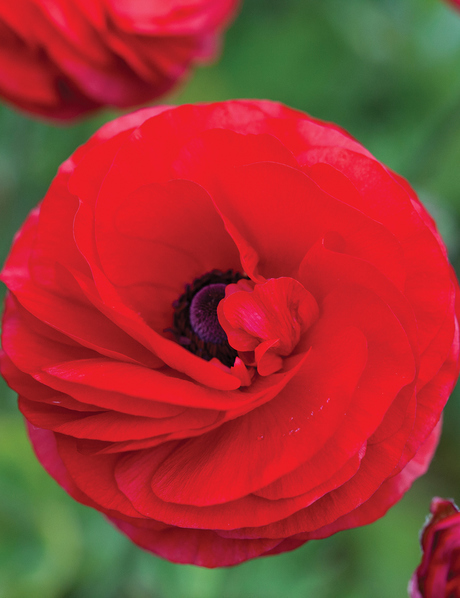 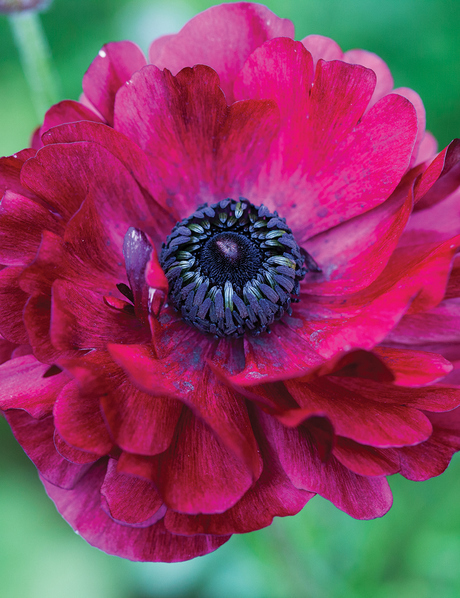 The Biancheri family of San Remo in Italy began growing Anemones and Ranunculus in the 1800's. 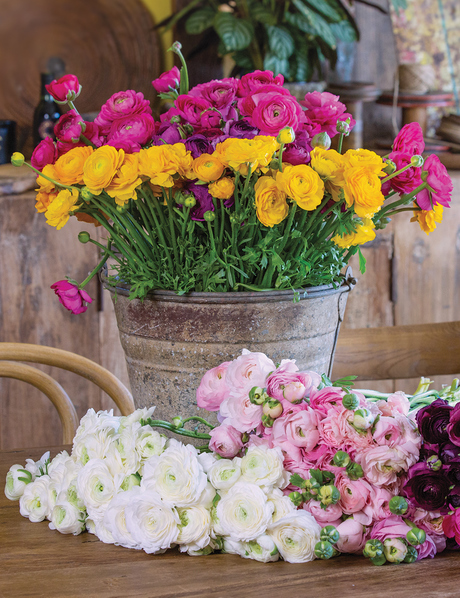 In what is still a family business, they have remained pioneers in the development and improvement by combining tradition and cutting edge research to create ever more beautiful and lasting flowers. 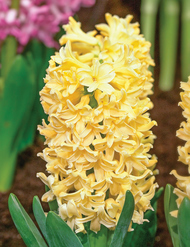 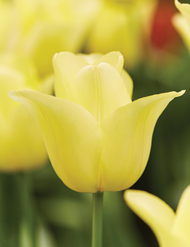 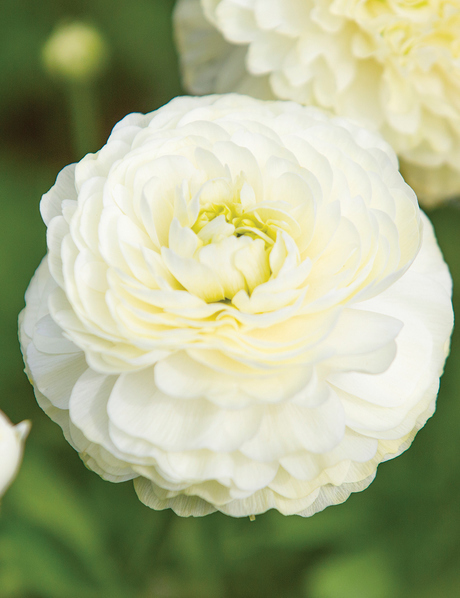 Their blooms are now sold worldwide and are highly sought-after by both the cut flower trade and now the nursery industry. 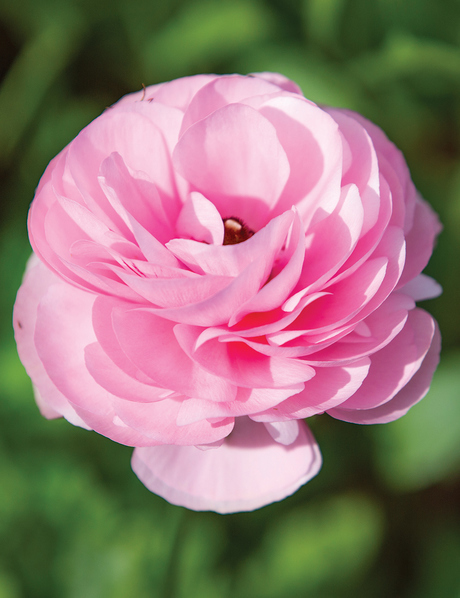 Each tuber produces at least ten flowers which are fully double from start to end. 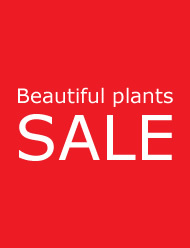 They are the best you can get. 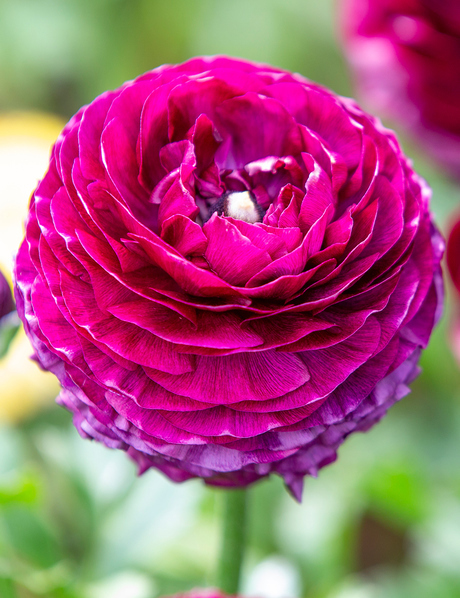 Blooming lovely! 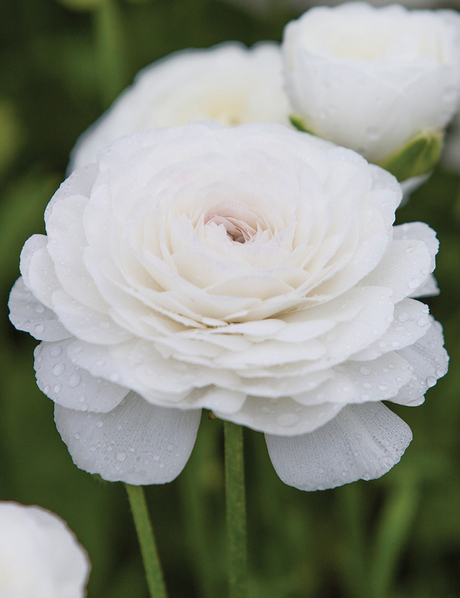 Picasso Ranunculus are a popular choice as they have a high percentage of fully double flowers. 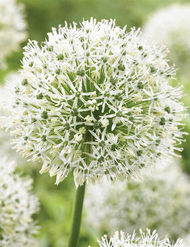 For only a little money, and a little effort you will receive seemingly endless rewards. 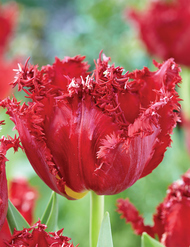 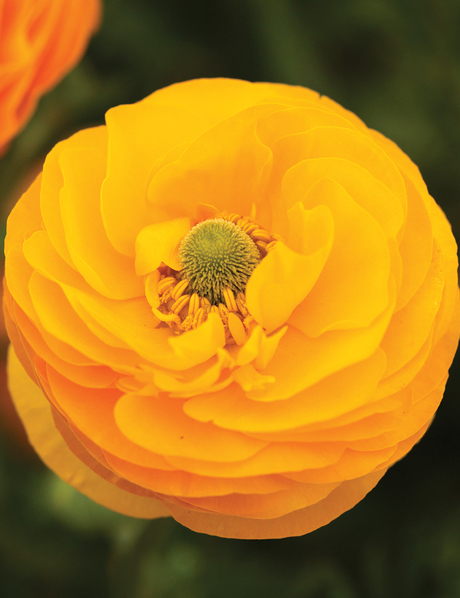 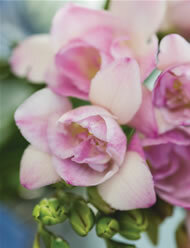 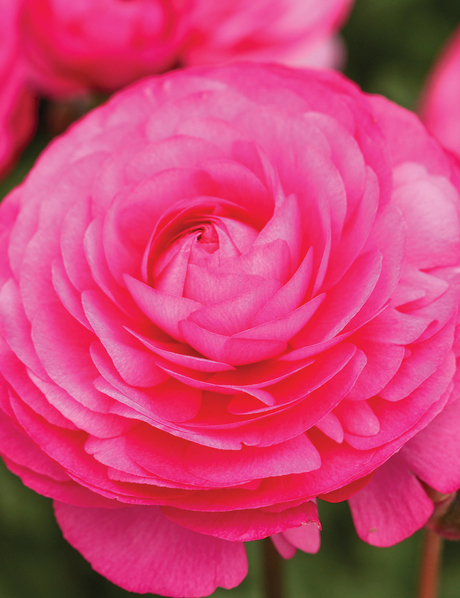 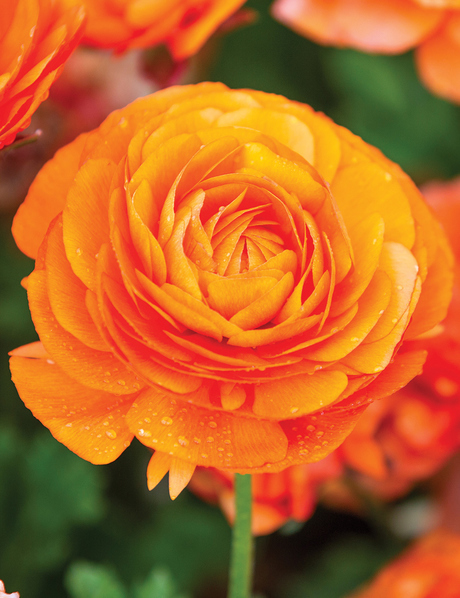 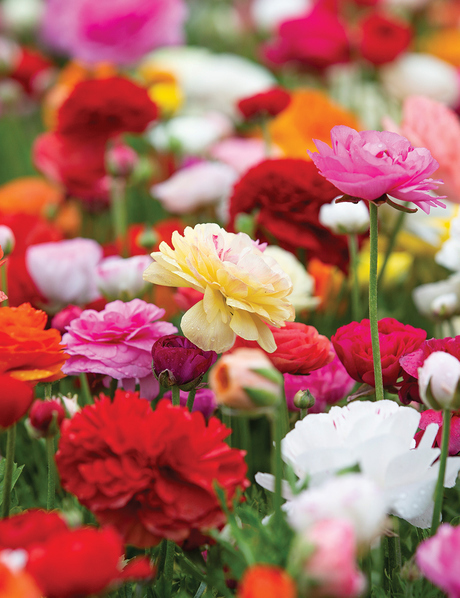 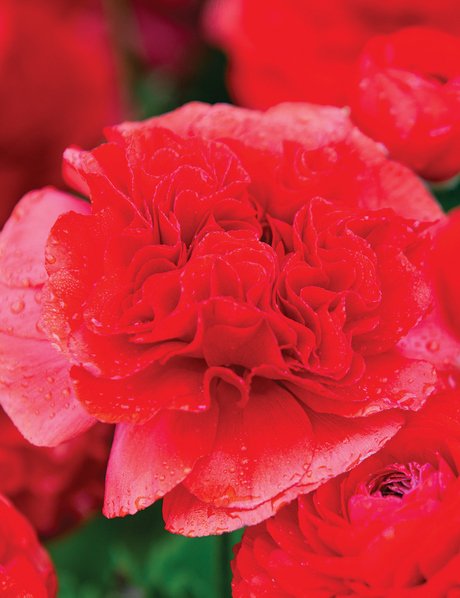 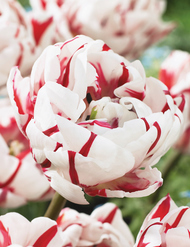 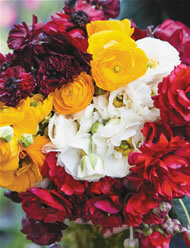 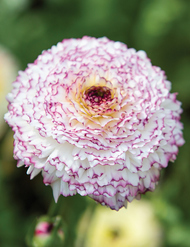 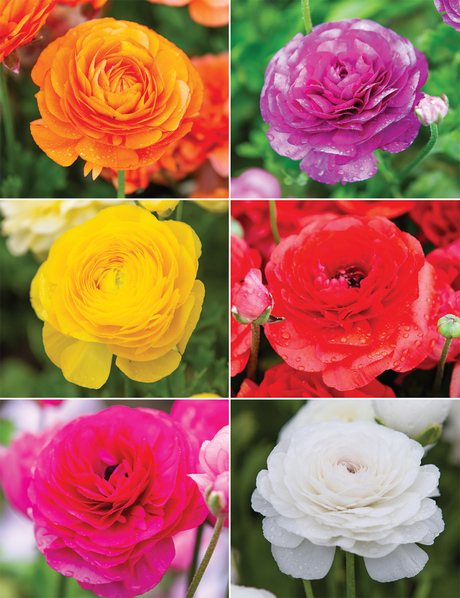 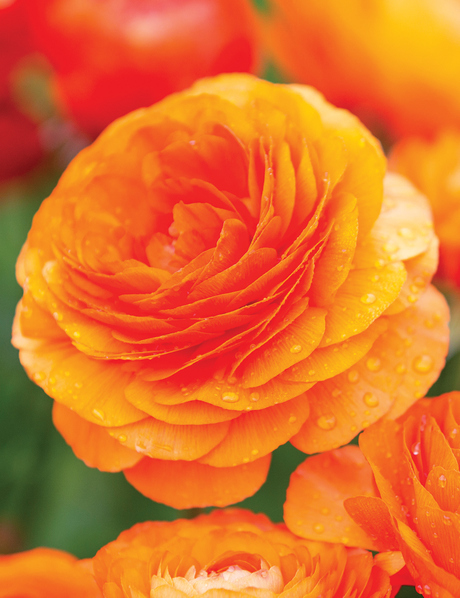 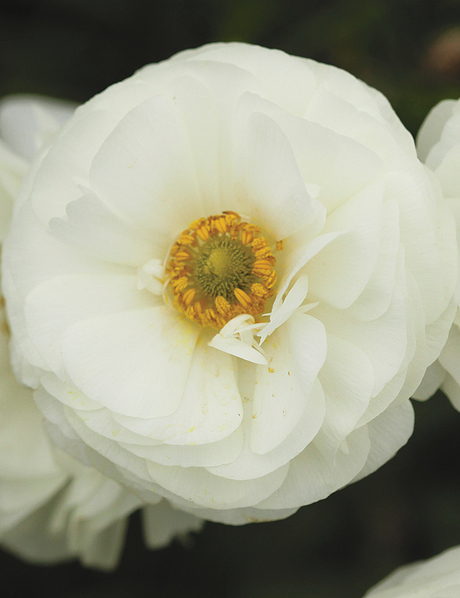 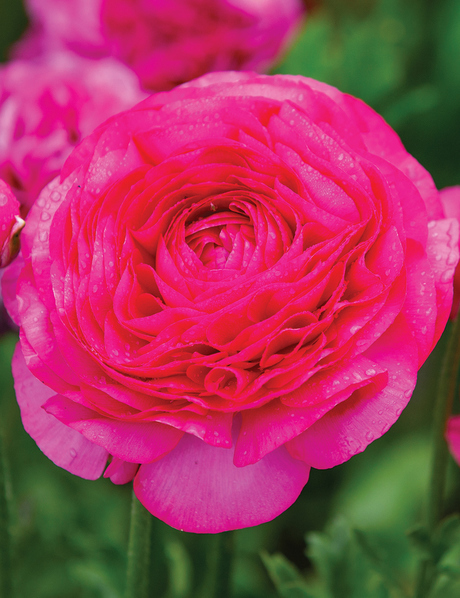 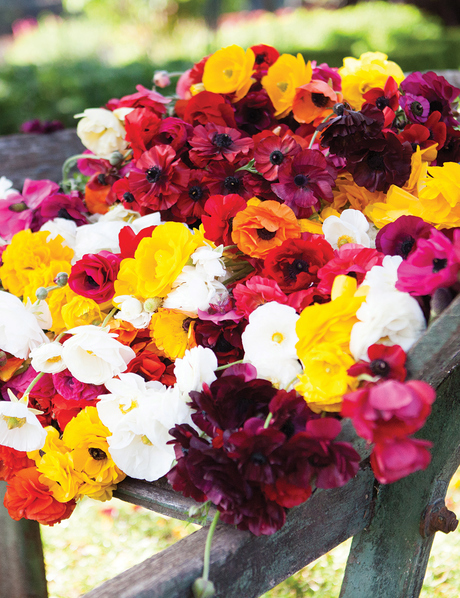 From each Picasso Ranunculus tuber you will be able to pick multiple blooms. 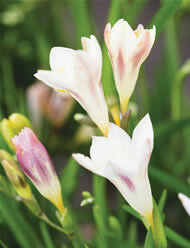 The flowers are a nice big size, grow on tall stems and will last a week or so in a vase. 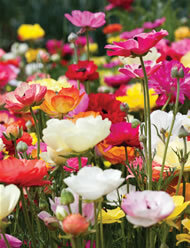 Sow tubers from Mid March onward for flowers in 10-12 weeks. 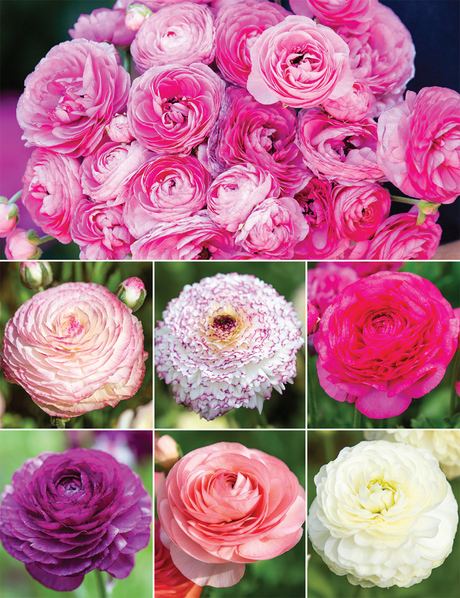 Up to six weeks of blooms! 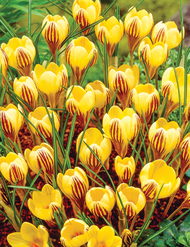 Parade of gold in spring. 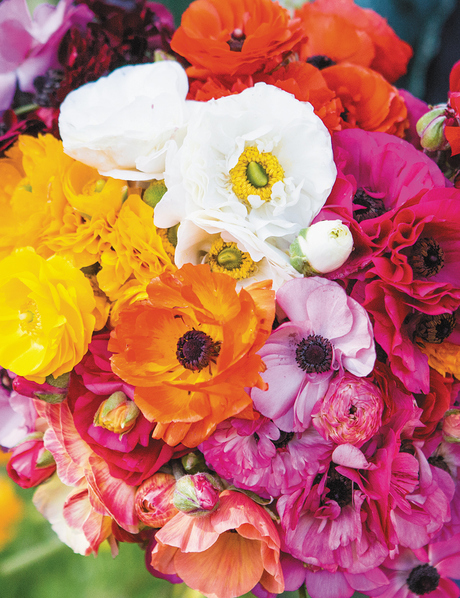 Armfuls of blooms for spring. 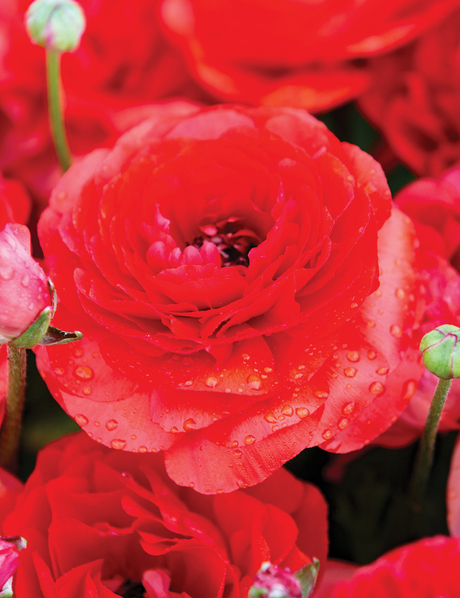 Red hot blooms for spring. 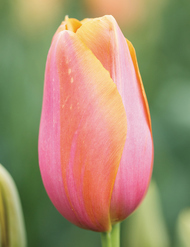 Warm colours - hot results! 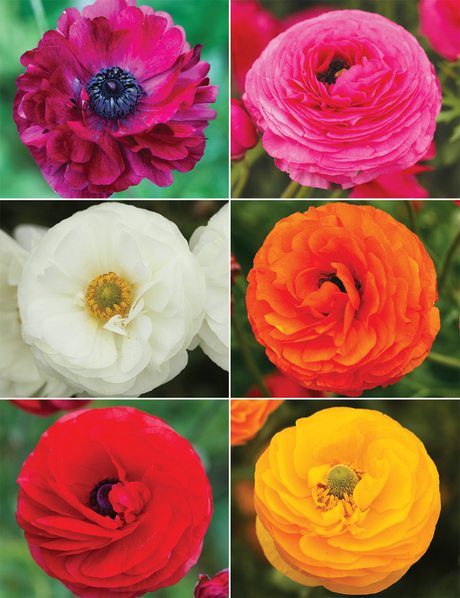 An array of semi double and double flowers. 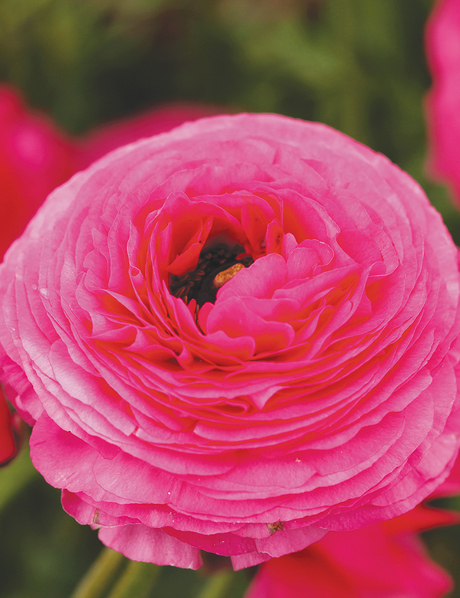 Plant Garden Ranunculus in autumn, feed well and by the time spring rolls around you will be taken aback with the beauty of these blooms. 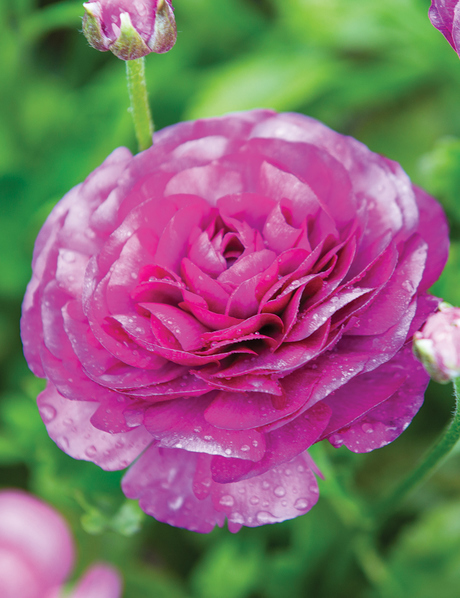 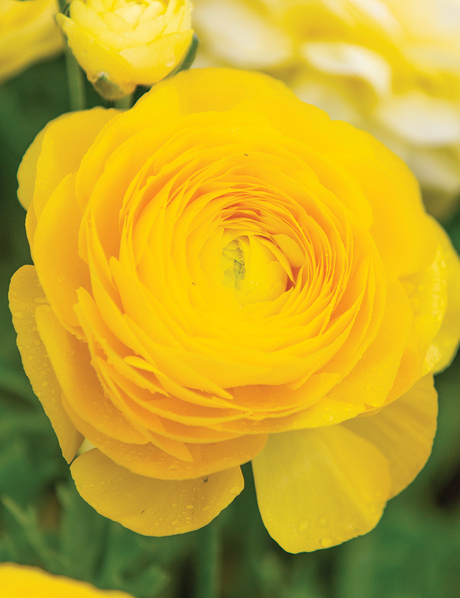 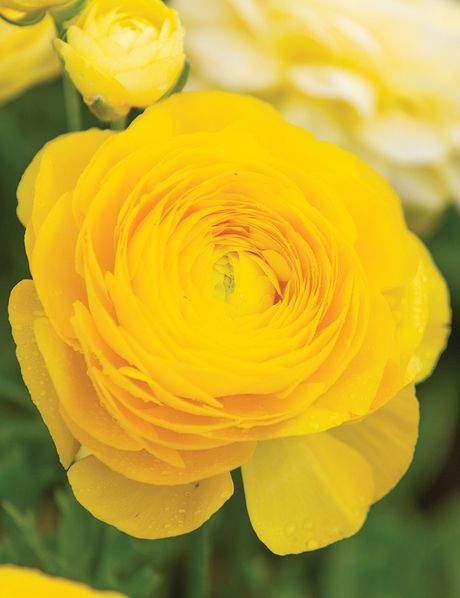 Garden Ranunculus include single and double forms and will bloom their heads off for up to six weeks! 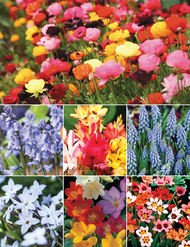 Dwarf flowers in all colours. A dwarf form of Ranunculus exclusive to Tesselaar. 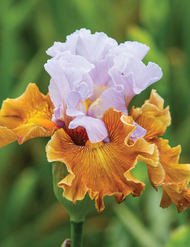 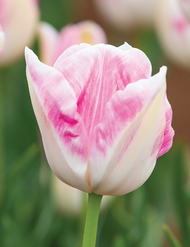 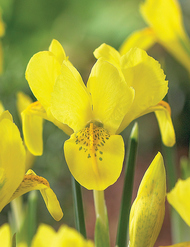 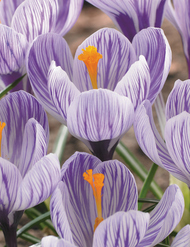 These compact bloomers have fully double petals and uniform colours – they are hand pollinated to ensure they flower true to type. 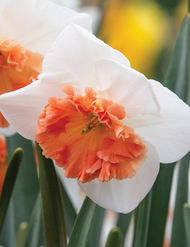 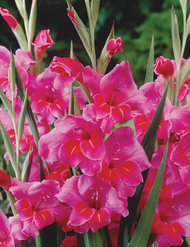 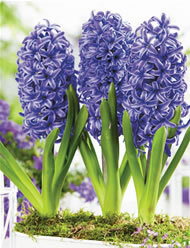 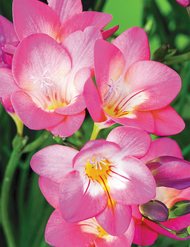 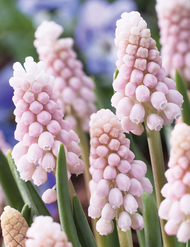 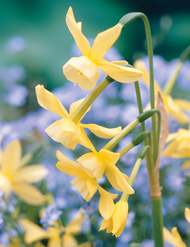 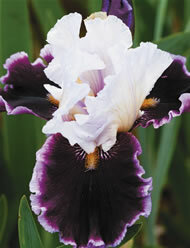 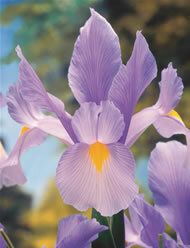 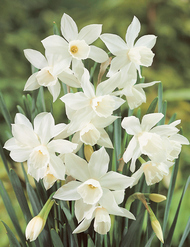 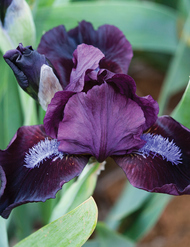 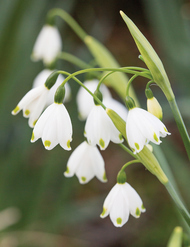 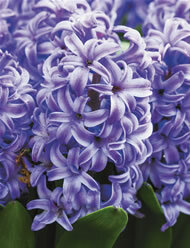 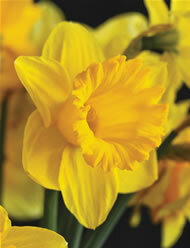 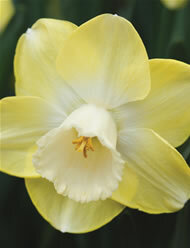 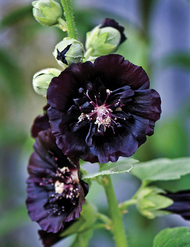 They will bloom for up to six weeks and the flowers are fantastic for picking. 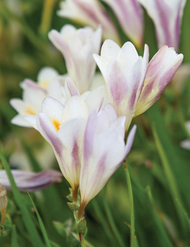 Each corm will yield numerous flowers.